It’s a truism that a video is only as good as the camera that’s been used to shoot it, which is why all eyes are on the camera news from the NAB Show 2015. Broadcasting has undergone a revolution in the last twelve months with the increasing availability of 4K video as well as a sharp rise in live online streaming. 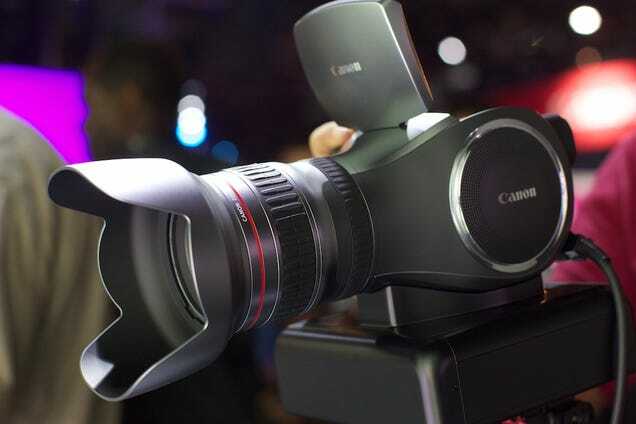 Content makers will be keeping a close eye on the latest cameras and accessories with an eye to seeing if it can help them make their broadcasts more competitive and more profitable, so let’s see what to expect from cameras in the upcoming period. Making predictions is always difficult, especially in a market as fast moving as this one, but one thing that we can expect to see is a growth in ProRes recording. A camera that records directly to ProRes can not only offer excellent functionality and flexibility, it also provides pictures that are sharp, with good color and contrast balances. These are increasingly important as HD and Ultra-HD broadcasts become the norm. The new ARRI ALEXA ST camera is a fine example of a ProRes recording camera, and it seems likely that other manufacturers will follow this growing trend. Consumers are loving the advantages that 4K pictures bring, with 25% of TVs sold in 2015 being 4K models, a figure expected to rise to 40% in 2016. 4K content on Netflix and other SVOD suppliers is also fueling demand. Canon’s C700x is perfectly placed to meet this demand. This will offer a global shutter and provide 4K level recording that produces approximately 8.85 megapixels. Panasonic too are jumping into the 4K market, with their new AG-AF Camcorder due to be launched on April 13th. Using their micro four thirds sensor it’s designed to shoot true 4K video, even in low light conditions. The price tag is expected to be between $3000 and $4000. As more manufacturers follow the trend for producing 4K cameras throughout 2015, the cost of the hardware should begin to fall. It may be that sensor technology has now reached its optimal level, meaning that new sensors are unlikely to be a priority at the NAB Show and beyond. Sensors always bring a trade off between performance and noise, so any upgrades to sensors are likely to focus on ways to soften the noise that they bring, especially when used in low light settings. One way to do this is by making them bigger, but that brings an unwieldiness which impacts on their flexibility, so it may be that the big camera manufacturers focus on the sensors that they already have rather than trying to innovate.